Home / That 4x4 Show / SA’s premier 4×4 show is back! SA’s premier 4×4 show is back! 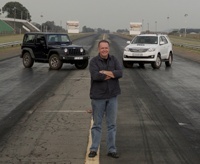 THAT 4×4 SHOW is due back on the box the first weekend in July, and the second series will make its debut on IGNITION (DStv channel 189) on the same day as the motoring channel’s re-launch. The new season of the show also brings some changes to the line-up of the first series, which recorded a million viewers for the first season. This includes a new presenter. 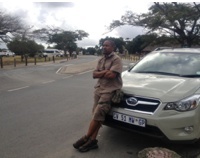 Tumelo Maketekete is an avid 4×4 overlander who has completeled countless Comrades marathons, hikes, mountain bikes and competes in all sorts of healthy activities. Passionate about 4x4s and about the great outdoors, Maketekete is the perfect side-kick for Bernie Williams, who is again the main face and voice of the show. 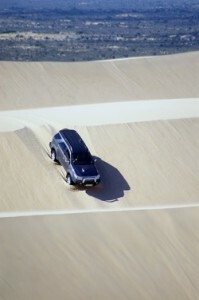 Williams is a former radio DJ, a musician, a highly qualified 4×4 driving instructor, and an experienced 4×4 tour guide, and adds decades of 4×4 experience to the T4S mix. There are also some content changes. The second series features off-road tests of the latest 4×4 vehicles, 4×4 trail reviews, a focus on some big-wheeled custom 4x4s, our own three project 4x4s being turned into unique, eye-catching and highly capable off-roaders, and a weekly 4×4 adventure. The project vehicles include a Jeep Wrangler Rubicon V6 three-door, a Toyota Fortuner 3.0D-4D that will be turned into a super-duper 33-inch Arctic Truck, and a more pavement-friendly Subaru XV crossover. The team’s 4×4 adventures will take them all through Southern Africa – from the desert lions of Namibia to the vastness of Makgadikgadi pans in Botswana to some of the most beautiful and best-kept secrets in the RSA. IGNITION channel’s new 24/7 schedule is also big news. Originally launched in October 2008, SA’s only dedicated motoring channel was on the box from midnight on Fridays to midnight on Sundays. But from 5 July 2014, the same day the new series of THAT 4×4 SHOW premiers, the channel will officially go 24/7 with all its broadcasts. IGNITION will still be available on both Premium and Compact DStv bouquets, and it is available across Southern Africa, including South Africa, Zambia, Zimbabwe, Namibia, Botswana, Mauritius, Comores and English speaking Mozambique. It is a major boost for IGNITION, and also for all the local productions that have grown with the channel over the last five years. Bringing local and international programming to DStv viewers on a daily basis will be like manna from heaven for South Africa’s millions of petrolheads. THAT 4×4 SHOW’s headline sponsor is ‘The 4WD Truckin’ Company’ – a custom 4×4 accessory company run by the well-known Gary Swemmer from TJM Pretoria-East. The broadcast times for the new series is as follows: Saturday @ 11:30am; Sunday @ 5:30pm; Monday @ 2:30pm; Tuesday @ 12:30am; Wednesday @ 4:30am; Thursday @ 8:30pm; Friday @ 8:30am and 5:30pm.